At this year’s Foodex, IWM is displaying for the first time its updated and expanded SAN100e range of sanitising/barrier tunnels. With ten standard models now on offer, ranging from a “total loss” low-cost entry-level design to a fully conveyorised recirculated system, there is a model that accurately matches the requirements and budget of virtually every user. The machine on the stand at Foodex is a mid-range model that IWM’s sales history and market research has shown to be the most popular system. Compared with earlier models, the new sanitisers feature increased belt width and tunnel height, and are suitable for sanitising produce in buckets, bags, tins and trays up to a maximum size of 575mm wide x 480mm high. Of special interest on the stand is the popular Edi13 ALTA twin-tier utensil and weigh pan washer, which has become the first machine of its type to appear on the government’s water technology list. Also on show is the award winning Crusader T600 tray washer, which is a popular high-power two-stage tray washing system. The model on display will be fitted with a stainless-steel modular belt that provides total flexibility on throughput. 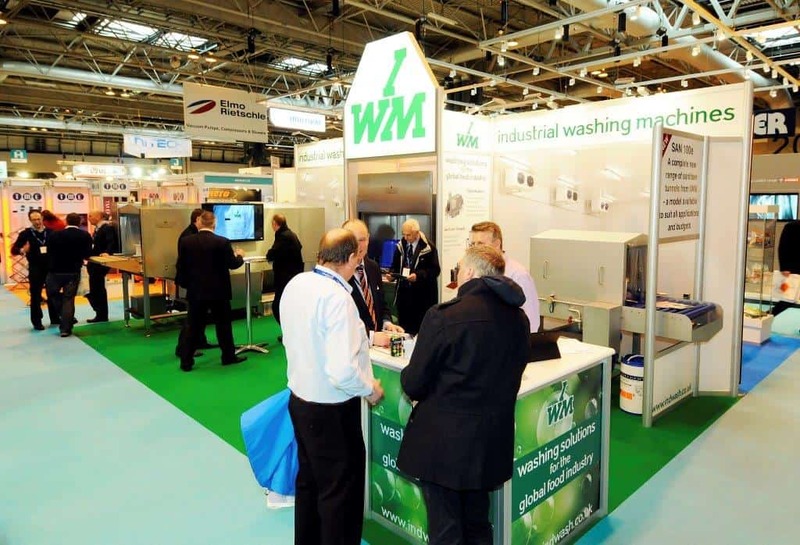 At Foodex, IWM is focussing not only on the efficiency and low lifetime cost of its renowned industrial washing and sanitisation systems, but also on their outstanding environmental credentials. Throughout the exhibition, expert engineers from the IWM applications team will on hand, and will be pleased not only to discuss the benefits of the company’s products, but also to provide advice and guidance to exhibition visitors on the best and most economical ways of addressing their own specific requirements.